This week we had an amazing meeting with media theorist Richard Grusin, who will be writing a 3000-word or so catalog essay about our exhibition (Dynamic Stasis) and work. 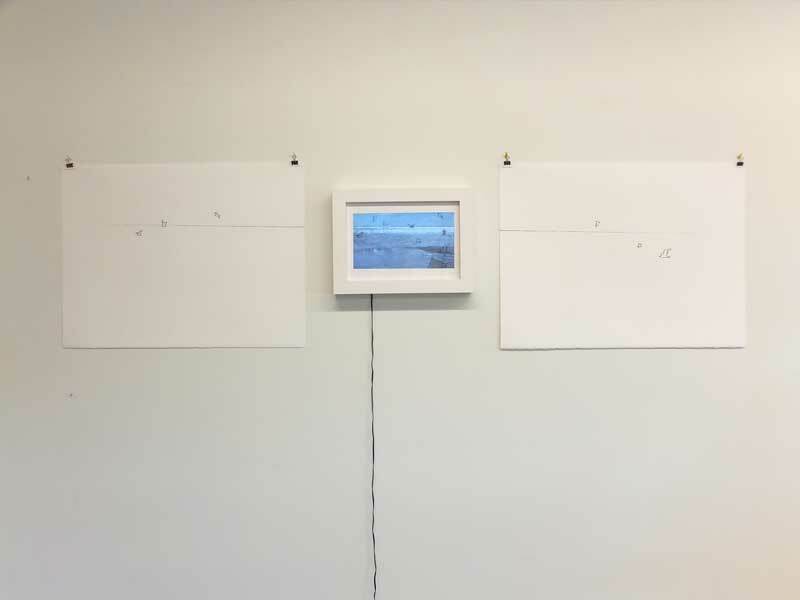 He gave us some wonderful feedback on a number of the pieces, their framing (both physically and conceptually), and how to move forward with our dialog. Richard is also helping us title the last few artworks, and giving us ideas on the finishing touches for others. As part of the discussion, he asked about one of our favorite pieces on the show: a one-of-a-kind drawing currently called Animal Abstraction, pictured below. For Jessica and me, the triptych's minimal elements draw a tension between abstraction and materiality, language and instinct, movement and stasis; and the title references a Brian Massumi paper on these topics (a favorite philosopher of mine, and also a friend), while also referencing, very simply, the abstract drawings of seagulls on the paper. 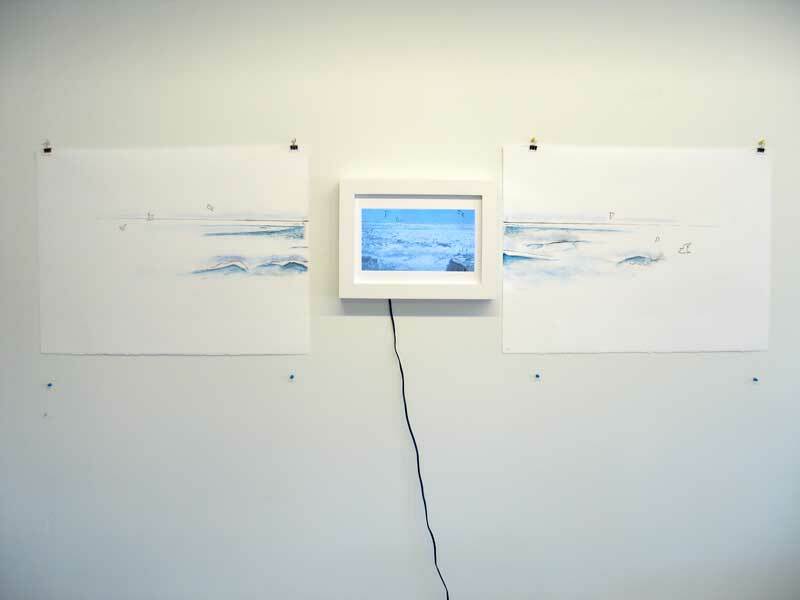 For Richard, the piece is more about the movement of the water in the screen, and he wants to see that movement bleed over and influence all the other elements in the situation our drawings and video and frames and paper have created. We've gone and made a second version of our drawings, to include the water - but we're still not sure about which really is the final piece. We love them both. So, what do you think? Sketches of both versions are below (click for larger images). Please email Jessica and me at nathaniel.stern@gmail.com with your opinion, and also any ideas for titles, if you believe it should be changed!